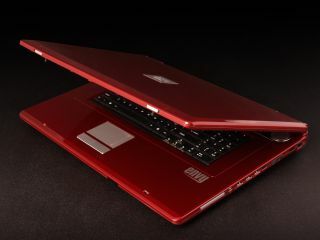 Superslim laptops are all the rage, following the launch of Apple's MacBook Air earlier this year. Now, Voodoo's new Envy is the latest skinny portable 'puter on the block. Voodoo has launched a configuration page for the Envy that outlines the full pricing scheme for the 133 PC. It is currently only available in the US at a cost of anything from $2,100 (£1,050) for the 1.6 GHz Core 2 Duo processor with 80GB hard drive, through to a whopping $3,400 (£1,700) for the top of the range model. This top range model features a 1.8 GHz Core 2 Duo, Windows Vista Business Edition and a 64 GB solid state hard drive. And if you have an extra $600 (£300) to burn, you can always add on a custom finish. TechRadar will be keeping an eye out for the UK launch and pricing on Voodoo's Envy, but don't hold your breath. If you want one of these this side of Christmas 2008, our advice would be to book a cheap flight to NYC as soon as possible.